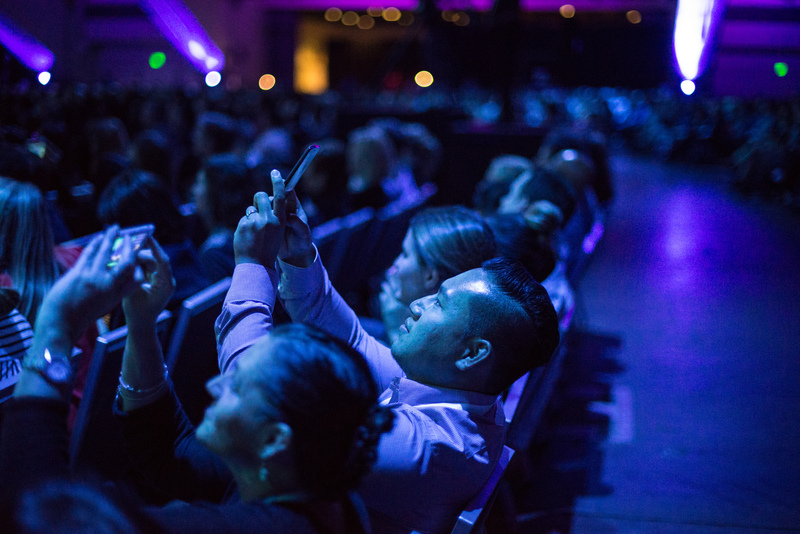 With many big announcements at Dreamforce, we’ve pulled together some of the top Dreamforce takeaways for Sales Leaders. A few weeks before Dreamforce, the brand-new Lightning Experience was announced. The new announcement contains many exciting things around the Future of CRM, though what does it actually mean for Sales Leaders and Sales Executives? The new experience enables you to sell faster, smarter and anywhere, with all of the insights that you need in one place, allowing you to focus on what matters most — your customer. Most importantly, as the Sales Cloud is built on the Salesforce Customer Success Platform, you can tailor your sales processes and sell the way you want, taking advantage of the many apps available for sales on the Salesforce AppExchange. We’ve brought many of the existing features for sales through to the new UI in our Winter 16 release, along with some great NEW sales features to help drive productivity. Speak to your Salesforce Account team to find out more on how to enable the new Lightning Experience. Information overload is a challenge faced by everyone. On average, we spend 28 hours per week reading and answering emails, 79% of opportunity data never makes it into the CRM and 89% of managers believe reps can’t keep up. This requires a major shift in technology. 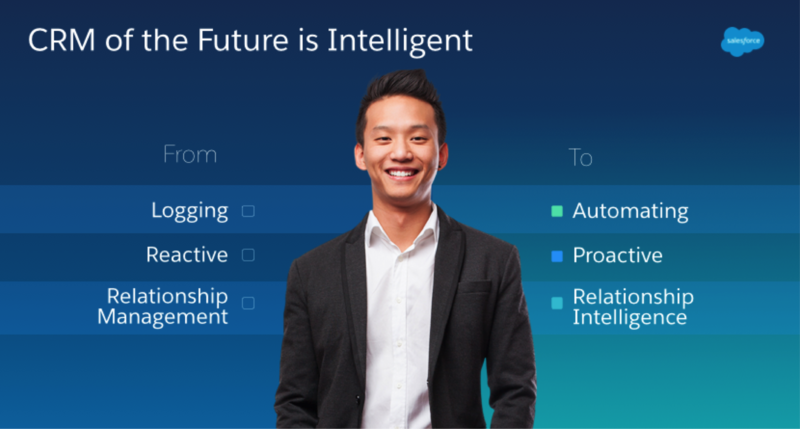 The brand-new SalesforceIQ was announced at Dreamforce, providing automated, proactive relationship intelligence. Relationship Intelligence automatically captures, analyzes and surfaces information that is relevant for customer relationships from email, calendars and more. It seeks out the patterns needed to provide insights into future outcomes and proactively recommends actions to build stronger relationships with customers and accelerate sales. SalesforceIQ isn’t just for Small Businesses. We also announced a version specifically for Sales Cloud customers, making Sales Cloud smarter than ever. You can sell directly from the Inbox — every email is enriched with all the relevant Sales Cloud data. Now sales reps have the right context at the right time, without having to switch screens or apps. You can download the mobile app and Chrome extension today for free! (free-of-charge during beta period). Sales Productivity is always near the top of everyone’s priorities. The more productive you are, the more time you can spend with your prospects and customers! Dreamforce continued to highlight the partnership between Salesforce and Microsoft including a great keynote from Satya Nadella, CEO Microsoft. It also showed many of the great great integrations between Salesforce and Office 365, truly enabling your sales teams to be as productive as possible. The joint partnership enables you to access all of your Salesforce information directly within Microsoft Outlook, as well as accessing your Microsoft files directly within Salesforce. To find out more information on the partnership, please visit www.salesforce.com/microsoft along with the video below. 4. Sales and Marketing alignment is more important than ever! 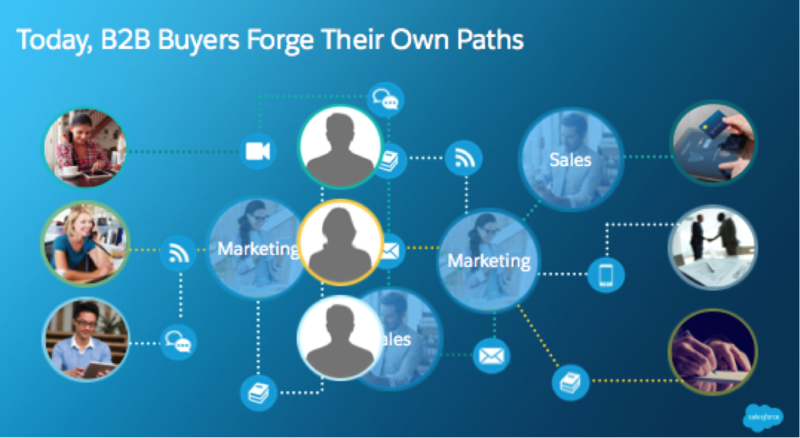 We’re aware that buyer paths are changing, but how many of those paths are ending in purchase? Buyers are creating their own paths to purchase yet, these are often hitting dead ends due to a number of different factors. For many organizations, the missing piece of the puzzle is insight into buyer pain points, activities, motivations, and interests. Without this information, today’s marketers and sales reps will have a hard time working together to personalize the selling process and help their buyers progress through the sales cycle. 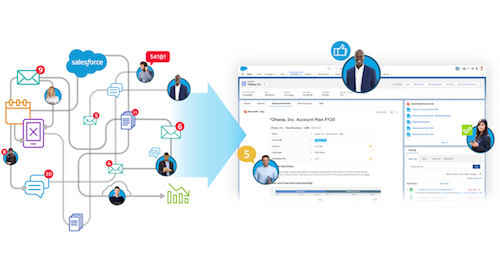 The Pardot team highlighted at Dreamforce that marketers and sales reps can help enable these buyers on their paths to purchase using targeted communications and real-time buyer insights. 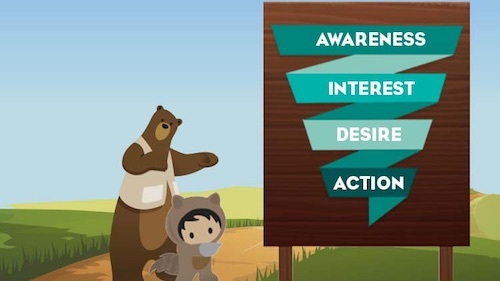 With information about buyer pain points, interests, and motivations, it’s possible to stay with your buyers through every step of their journey. While there were many technology announcements to help with the new world of buying and selling, sales insights are just as important. 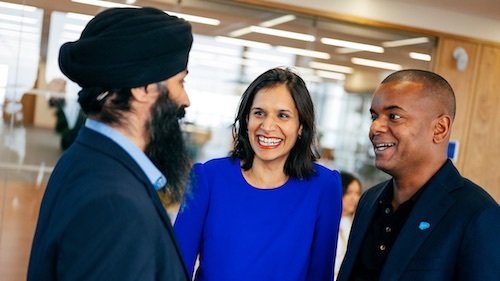 At Dreamforce we ran our largest-ever Sales Summit with fourteen of the world’s most respected sales minds presenting to over 2,500 sales leaders. You can view the recordings from these thought leadership sessions below. 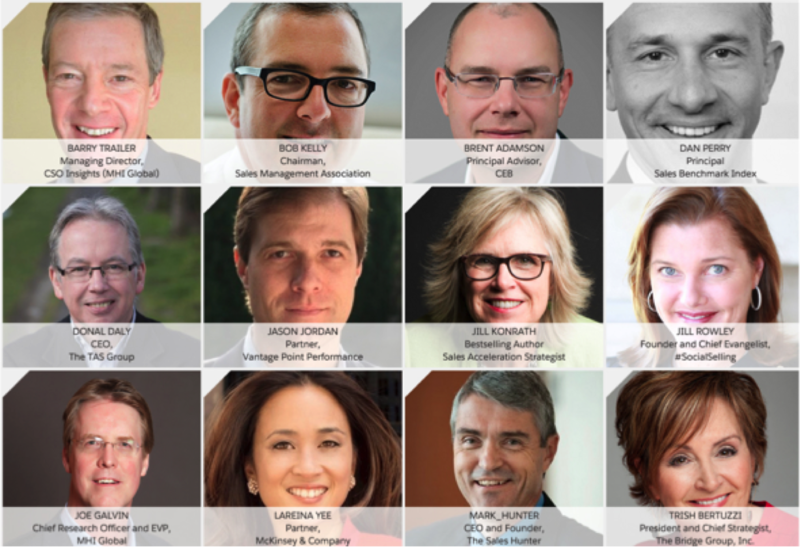 Looking forward to additional sales insights at Dreamforce ’16, October 4–7 in San Francisco? 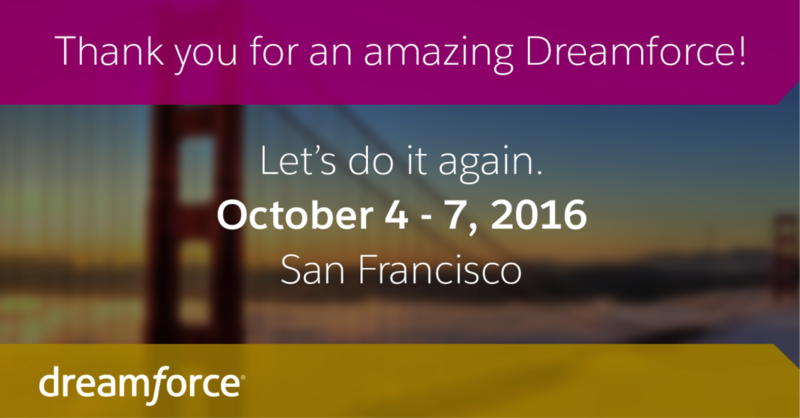 Pre-Register for Dreamforce ‘16. Lock in the lowest price, $999 for a short time only. Pre-register now and we’ll contact you with more details when it’s time to complete your registration.